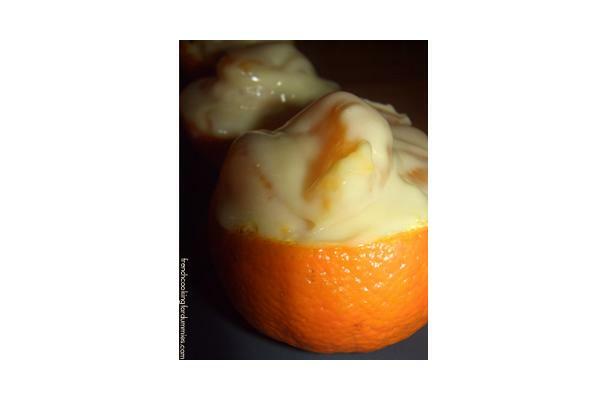 Carefully cut a line around mandarins and take their tops off without tearing the bottom part. Take off pieces and set aside. Melt chocolate, sugar and water in a sauce pan over low heat. Leave for about 10 mn and take off heat. Let it chill. Mix whipped cream and mandarine pieces with chocolate cream. (You won’t be able to use all mandarin pieces, maybe 3/4th of them). Pour in empty mandarins and let chill in the fridge for a couple of hours.